And get $175 in FREE resources and tools to jumpstart your success when you purchase your copy! So You Can Take Back Your Life! Are ready to banish brain fog, fatigue, weight gain, and all of the other symptoms holding you back from living your best life? 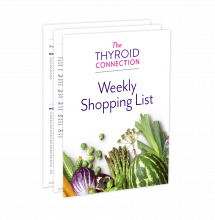 To finally connect the dots on what’s truly causing your thyroid symptoms so you can REVERSE them naturally using simple and proven lifestyle changes? It’s time for The Thyroid Connection! This revolutionary book will walk you through the five environmental root causes of thyroid dysfunction and provide you with all of the tools to restore optimal thyroid function and take back your life. “I have been struggling with thyroid issues for years and this is the best book I have ever read. It is very detailed about all of your symptoms and what supplements you need to take and when to take them. And you’ll receive a step-by-step, 28-day plan to put it all into action, with all of the meal plans, recipes, and resources you need to succeed! Get your copy of the New York Times bestseller that has empowered people around the world to reverse their thyroid dysfunction and take back their health! Watch the top six interviews with leading thyroid experts from my worldwide summit to learn innovative strategies and practical tips to address your root causes. $175 IN FREE BONUS RESOURCES! Get weekly shopping lists, broken out by department, for the full 28-day meal plan in the book to make shopping a breeze while following the program! These delicious smoothie recipes are packed with essential nutrients to support your thyroid and immune system! “This book is a life-saver, or at least a sanity-saver. Body aches are gone, fuzzy-headedness is gone, and the best part, I can sleep through the night, sometimes as long as nine hours. “Dr. 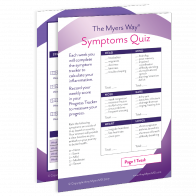 Myers helped me to finally understand the true breadth of my Hashimoto's autoimmune disease. I was worried that the book would be to "meaty" or scientific for me to really understand, but Dr. Myers does an amazing job explaining all of the science in a way that's not only easy to understand, but also retain. “I am on week 3 of The Myers Way plan and I have to say...I feel amazing. No more sleeping for 16 hours, no more stuttering and brain fog, no more mood swings. My weight is consistently dropping, my skin has cleared up, I am on a normal BM schedule. I have energy to live a normal life again. I can honestly say I now get to look at my partner and say "I feel great today". It does take work and its not an overnight miracle, but it works. I work 12 hour shifts as a 911 dispatcher overnight and I was able to accomplish this. 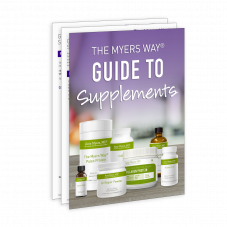 I am ever so thankful for this book and Dr Myers taking the initiative to put everything she learned into a book for others to understand and use." 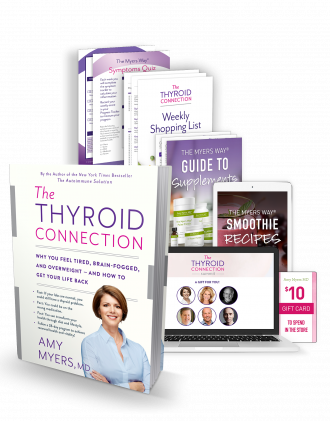 Amy Myers, MD has helped tens of thousands of people reverse thyroid symptoms and take back their health as a renowned leader in Functional Medicine. She is a 2x New York Times Bestselling author of The Autoimmune Solution and The Thyroid Connection, and the founder and medical director of Austin UltraHealth.